Product prices and availability are accurate as of 2019-04-17 04:03:37 EDT and are subject to change. Any price and availability information displayed on http://www.amazon.com/ at the time of purchase will apply to the purchase of this product. 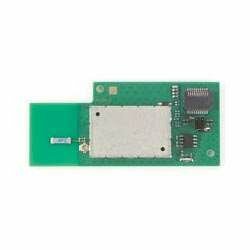 Enables WiFi Connectivity for Lynx Touch 5100, 5200, 5210, 7000 panels. Easy snap in installation. Must be mounted on same side as panel's internal speaker. During setup, choose to configure WiFi on your Lynx Touch as DHCP (dynamically assigned IP addressing) instead of Static IP. Selecting Static IP can cause your Lynx Touch panel to enter a boot loop.